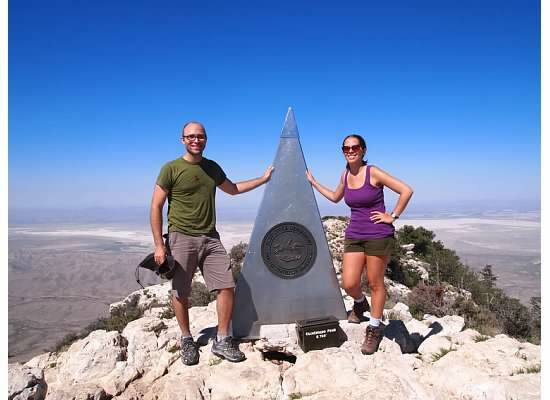 Two weekends ago we drove 2 hours north to Guadalupe Mountains National Park. 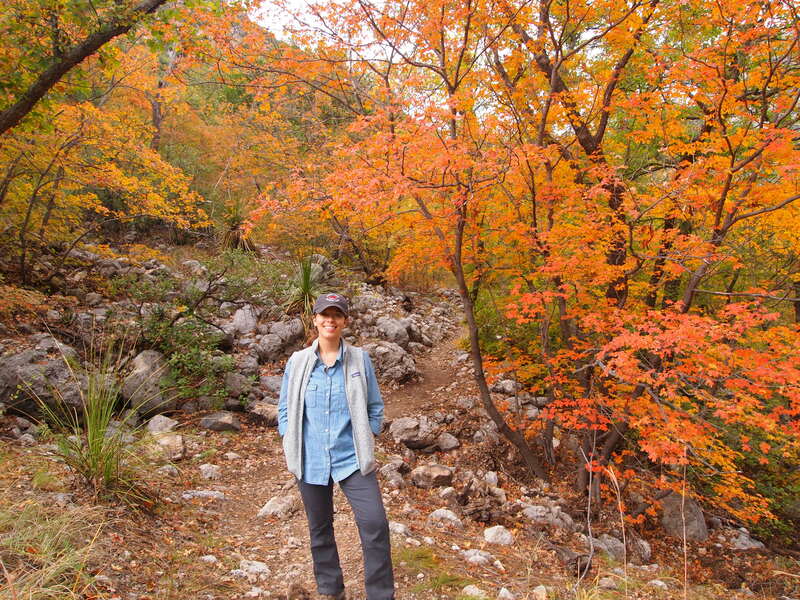 We had been to the park once before to hike Guadalupe Peak, the tallest peak in Texas, but this time we were all about the fall colors. 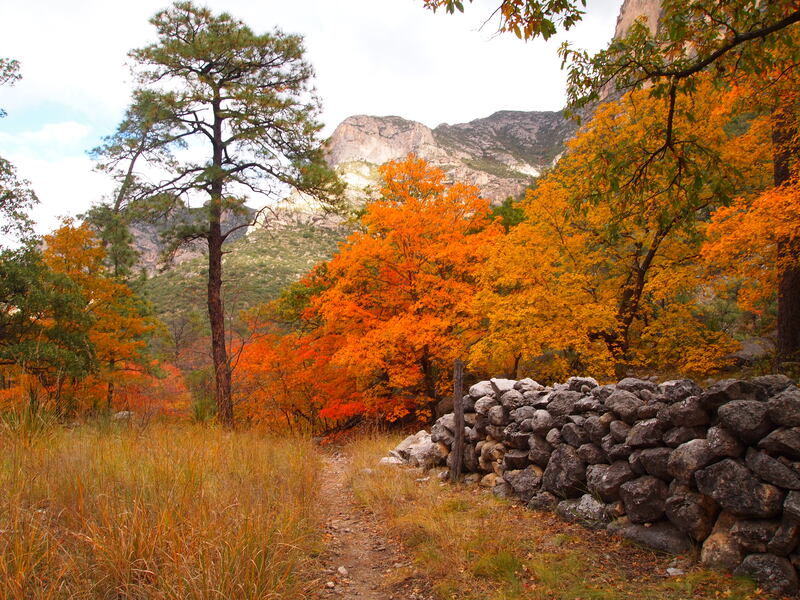 Guadalupe Mountains Nat’l. 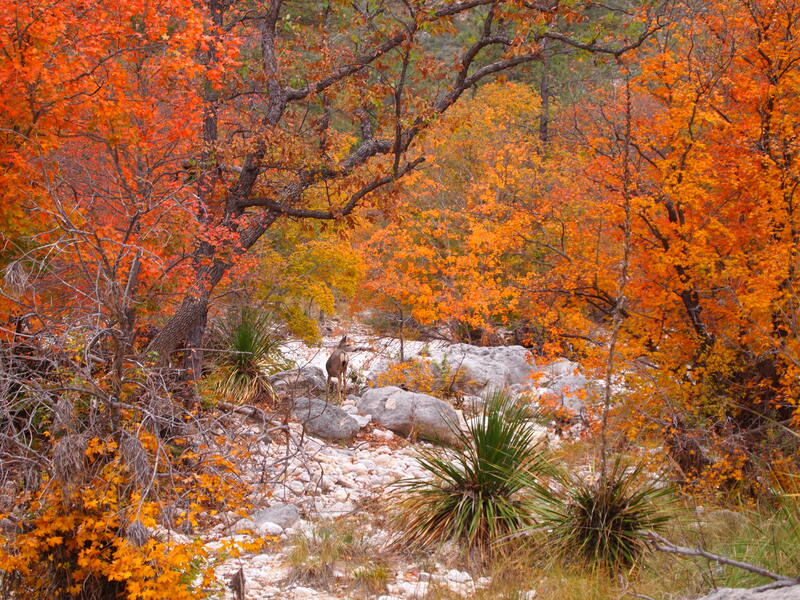 Park is comprised of 86,416 acres of pristine wilderness along the Texas/New Mexico border. During the Permian Era, much of Northern Mexico and the Southwestern US were covered by a large inland sea. 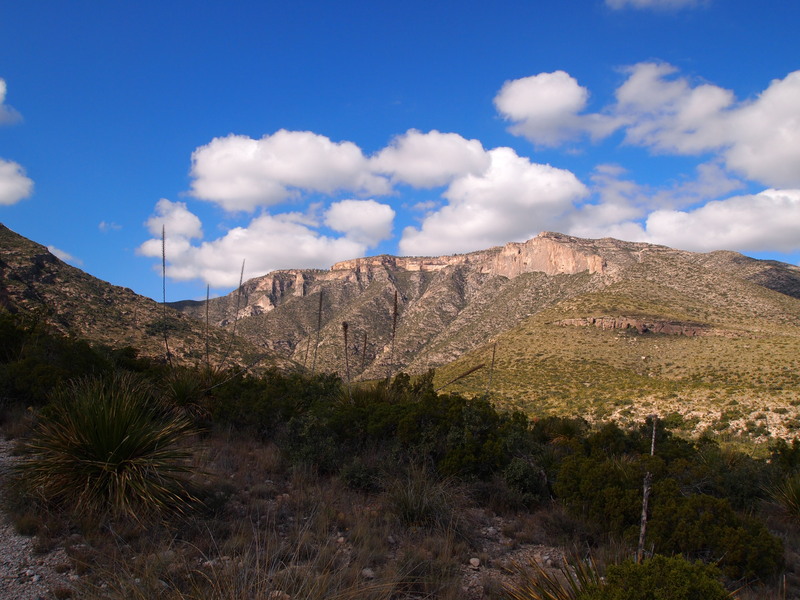 The Capitan Reef formed and thrived under the sea (in Western Texas and Southeastern New Mexico) until the sea began to evaporate causing minerals and mud to form alternating bands on the sea floor which covered the reef. 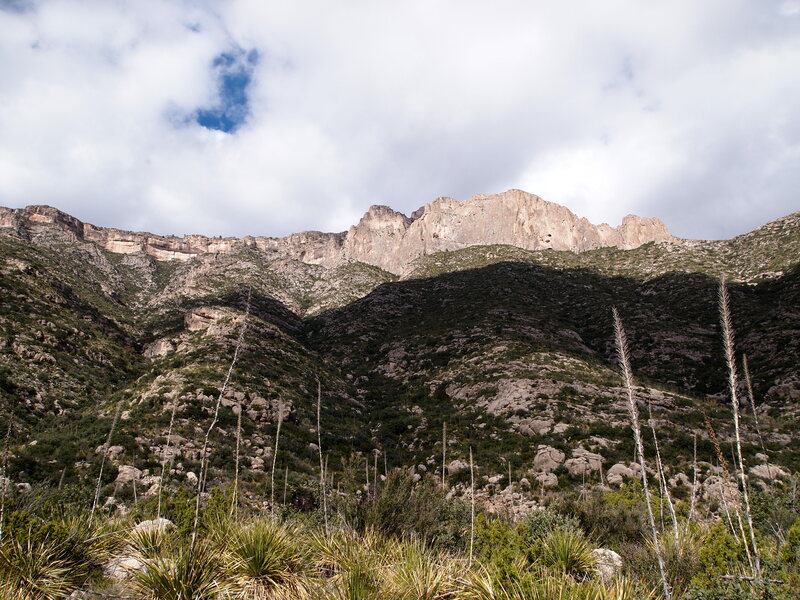 Tectonic movement over millions of years caused the reef to eventually rise and form the Guadalupe Mountains. 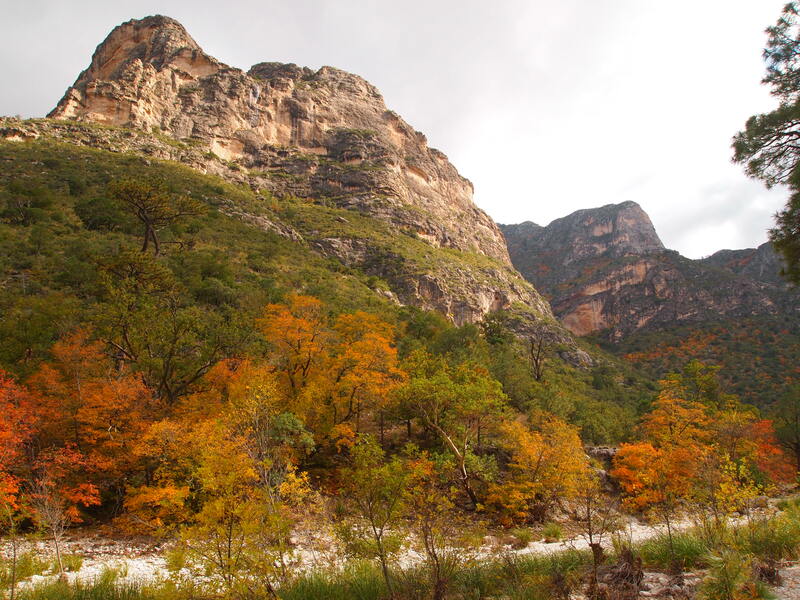 The mountains are the best-preserved fossil reef from the Permian Era in the world today. 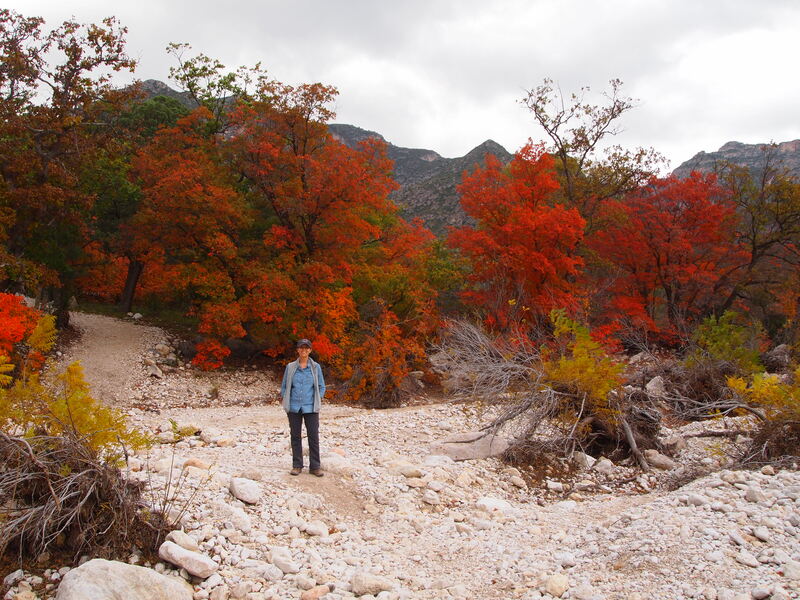 Zach had been checking the park’s website once a week since mid-October so that we could view the fall colors in their prime. 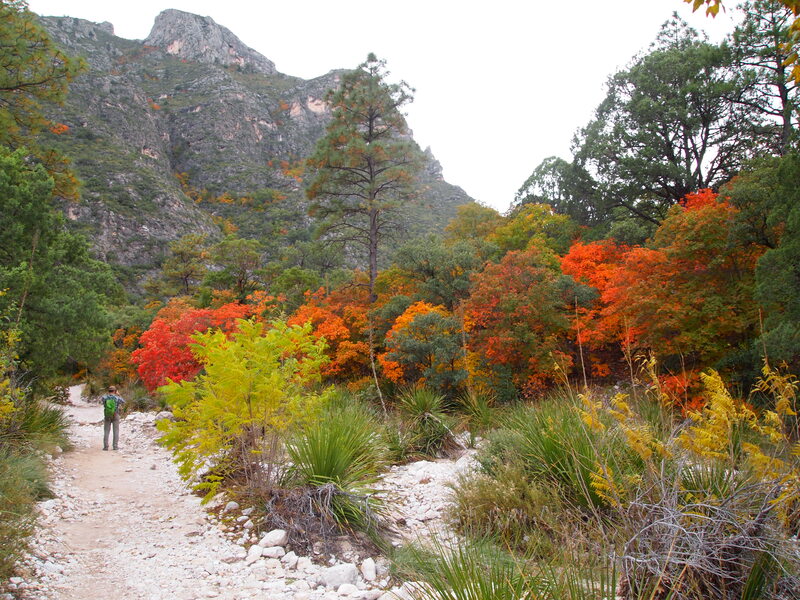 Lucky for us, McKittrick Canyon was at its peak color change for our visit. We got to the park a little later in the day than most people so we often had the trail to ourselves as we passed others on their way out. It was a crisp fall day with a slight breeze blowing into the canyon – at our backs on the hike in and in our faces on the way out. The sun danced across the canyon, casting shadows along the rim, and illuminating the yellows, reds, and oranges in the interior. We entered the canyon from the small ranger’s station and hiked down a brief descent into the canyon, crossing the dry creek bed a few times before truly entering the canyon’s interior. 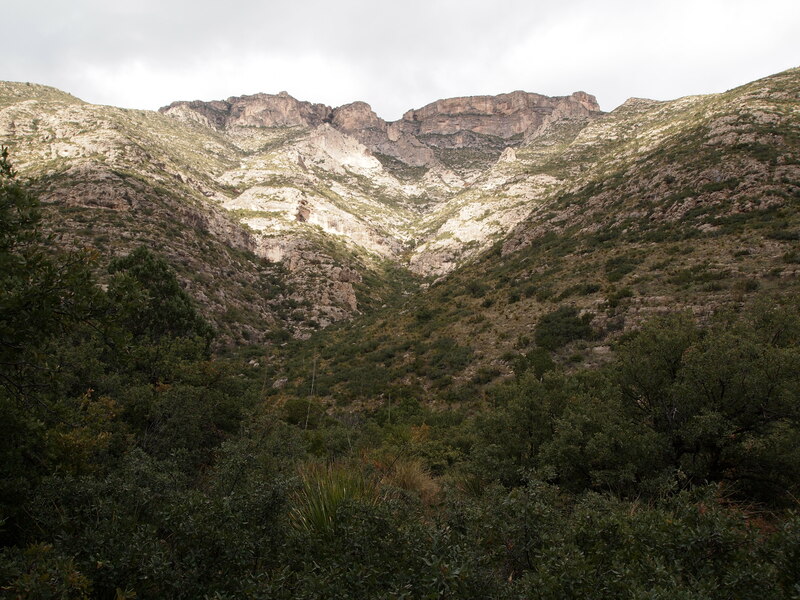 It took a couple of miles before we began to see the desert landscape intertwine with the forested interior of the canyon. 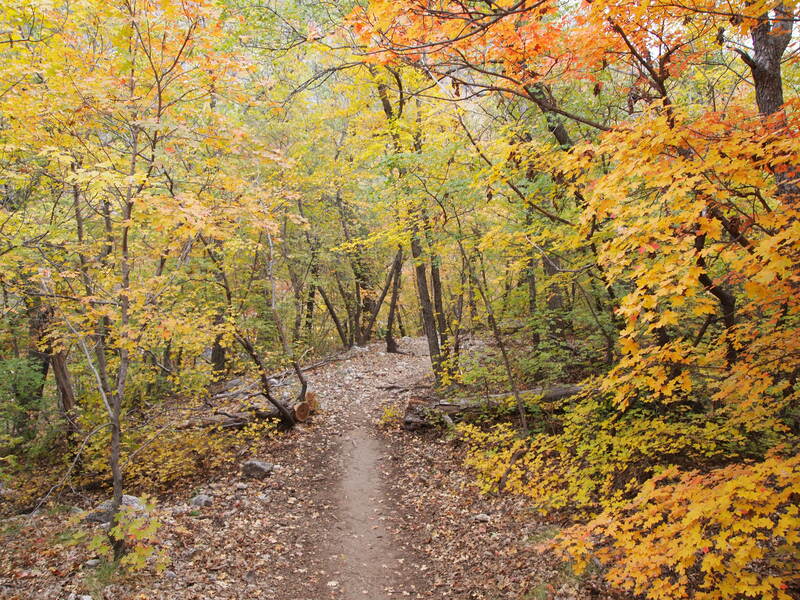 Red, orange, and yellow began to pepper the trees in the ravines on the mountainside and along the creek bed. 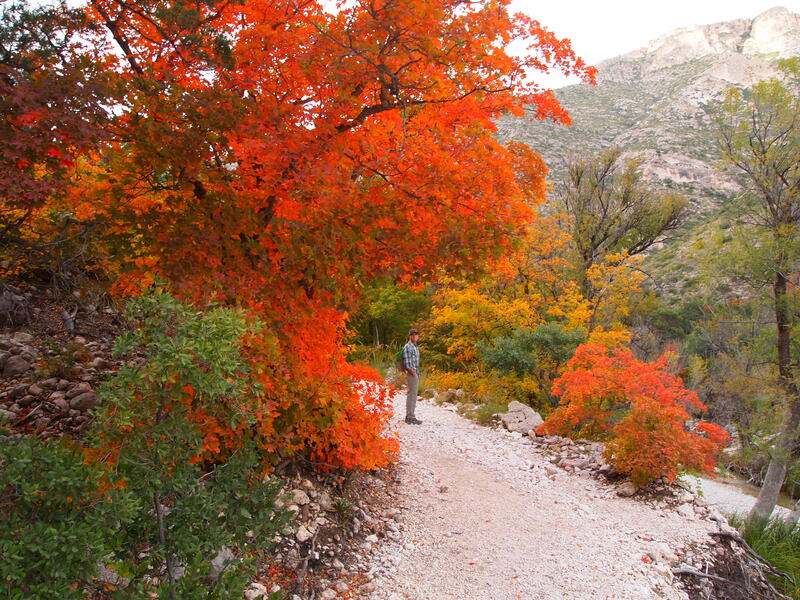 The further we hiked, the more the canyon filled with color. 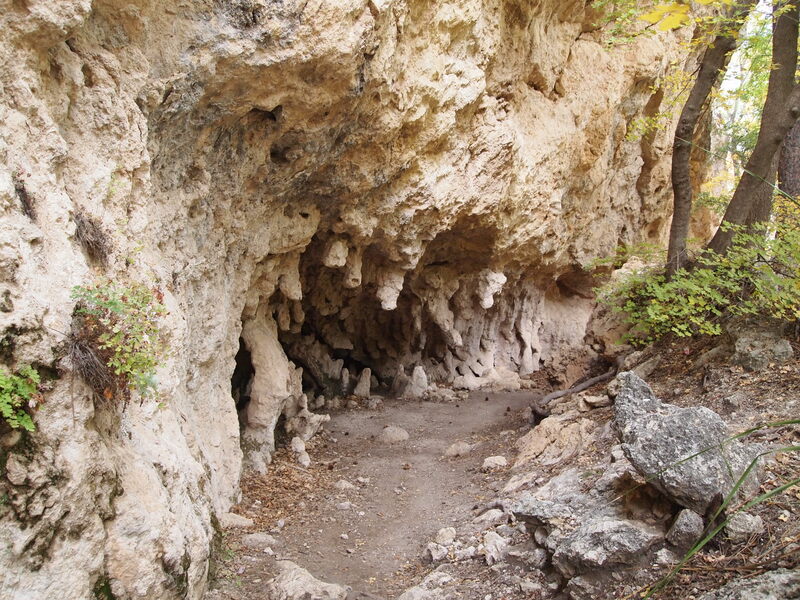 We eventually made it to the Grotto, the endpoint for our day hike (6.8 miles round-trip). 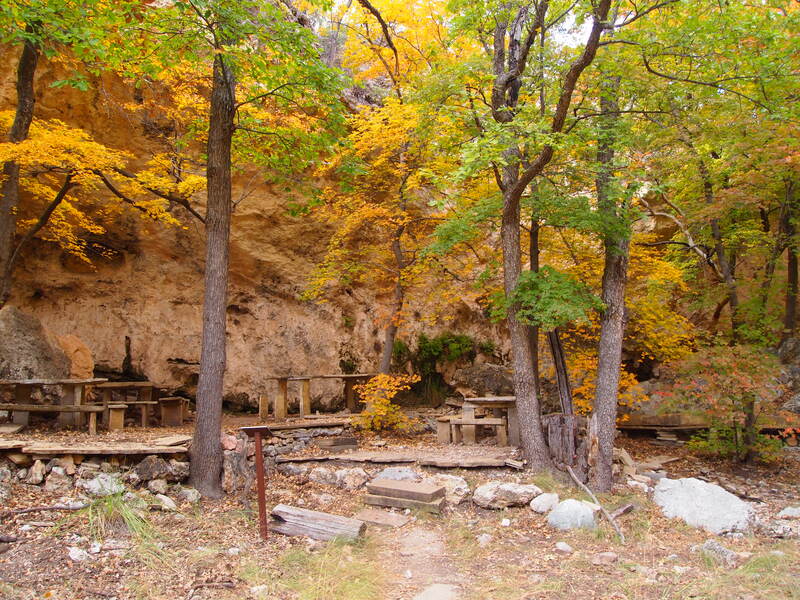 We stopped to eat in the grove of trees along the creek bed. There were several families enjoying the afternoon, and it was nice to see so many people out enjoying the park. We hiked slightly beyond the grove to look at an old hunter’s cabin before turning around to hike out. 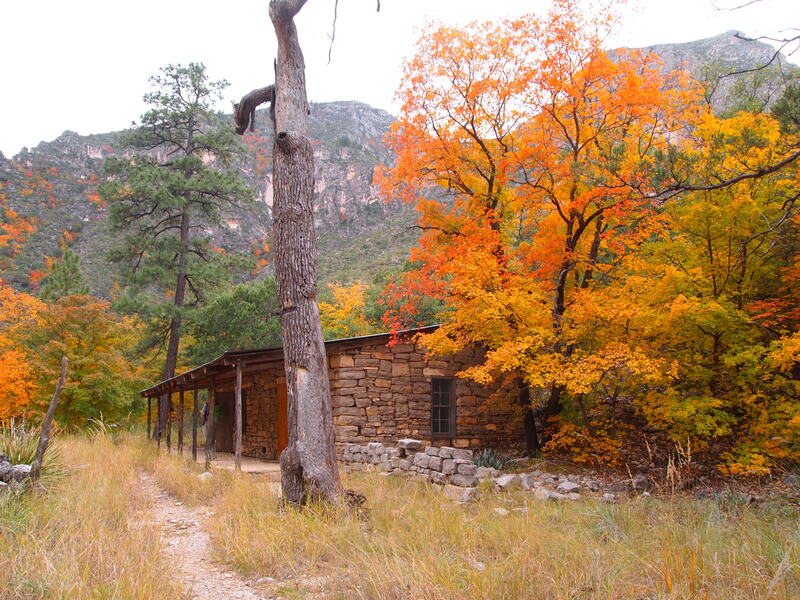 On our way out of the canyon we stopped by Pratt Cabin. Pratt was a petroleum geologist and conservationist who bought a major portion of the canyon with three partners in the 1920s. He was able to buy his partners out after the stock market crash in 1929 and began construction on his summer home in the winter of 1931-32. 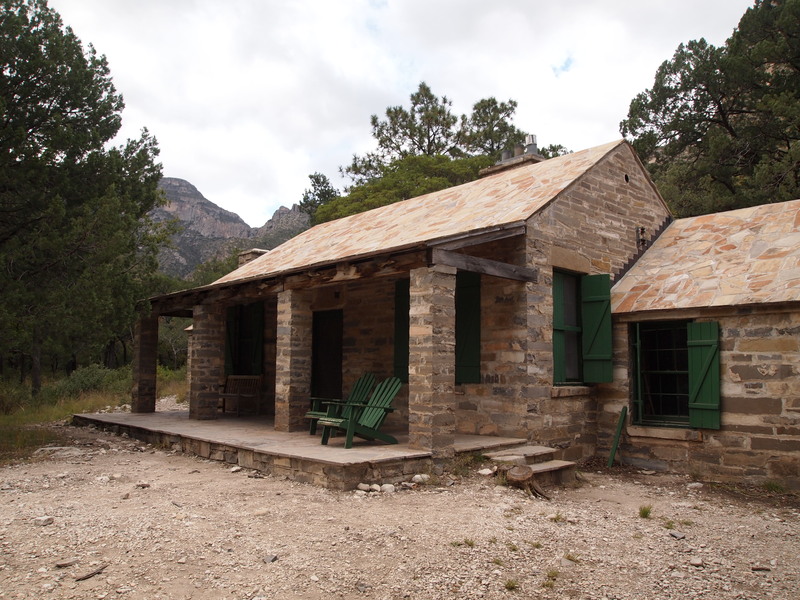 The stone for Pratt Cabin was quarried at the base of the Guadalupe Mountains. They used the cabin each summer as a retreat from humid Houston summers. 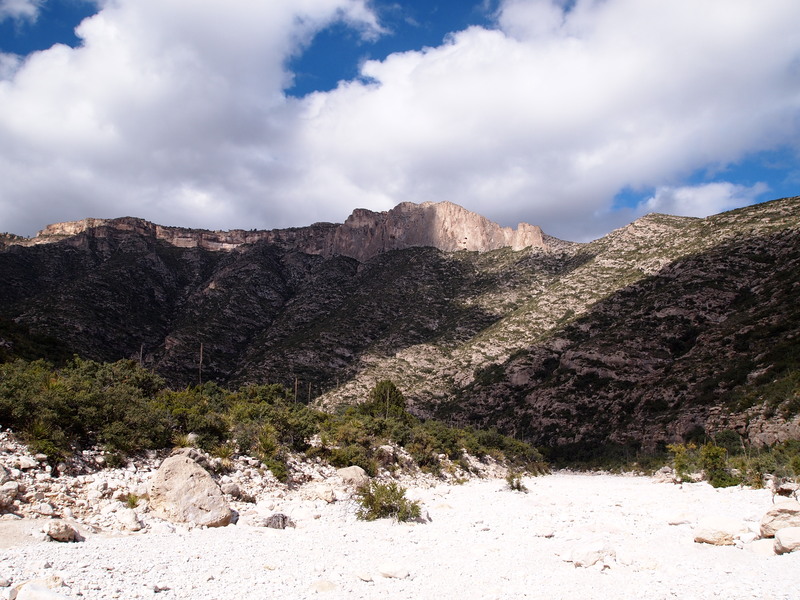 Their second home, Ship-on-the-Desert, was built on higher ground outside of the canyon after the creek flooded and trapped the family one year. 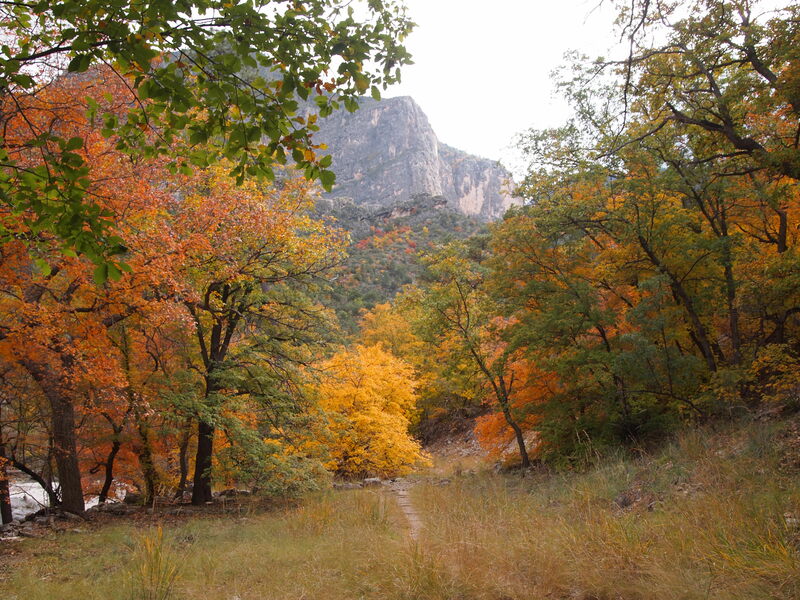 The Pratts began to donate their land – over 5,000 acres – to the National Park Service in the late 1950s when they decided to move to Phoenix for health reasons. It’s hard for me to imagine owning such a beautiful piece of land. Thankfully the Pratts understood the value of the land and gave it to the public so that everyone could enjoy it as they had. 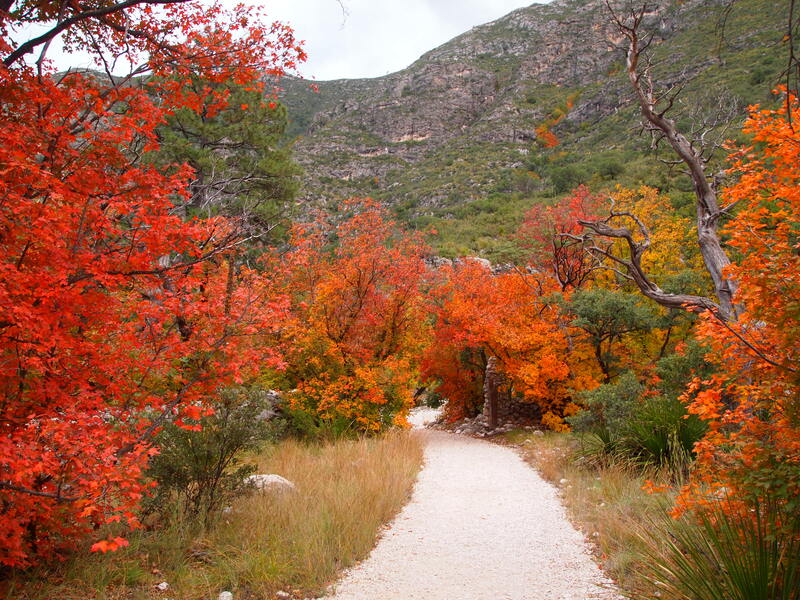 McKittrick Canyon is a gem hidden among towering fossil reefs. I look forward to visiting again when the flowers bloom in the spring or when the heat of summer is unbearable. 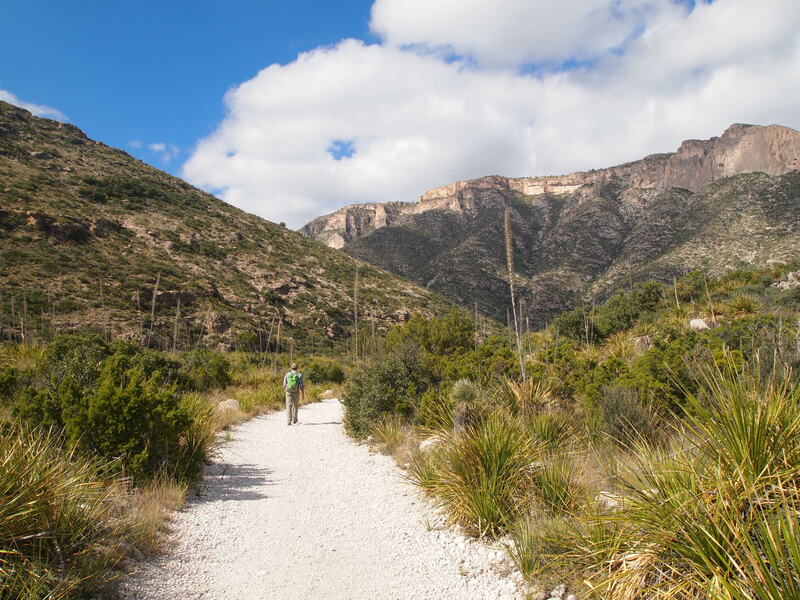 Guadalupe Mountains NP is full of more treasures that await our discovery, so we’ll be back.